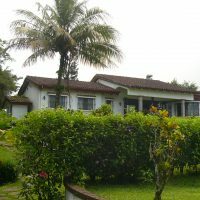 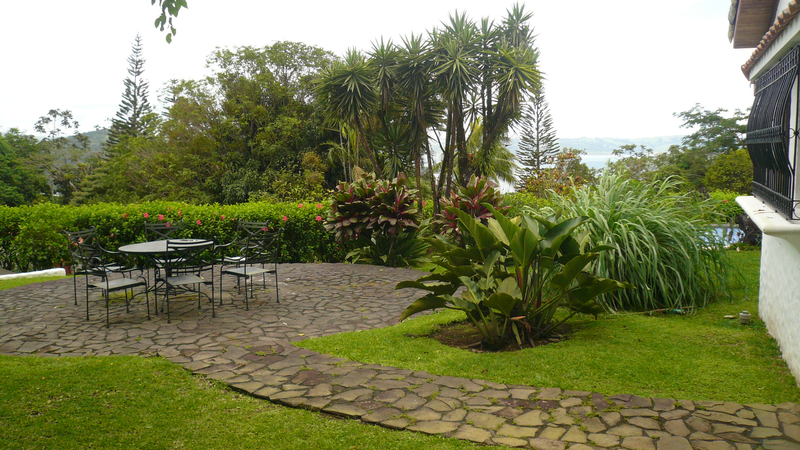 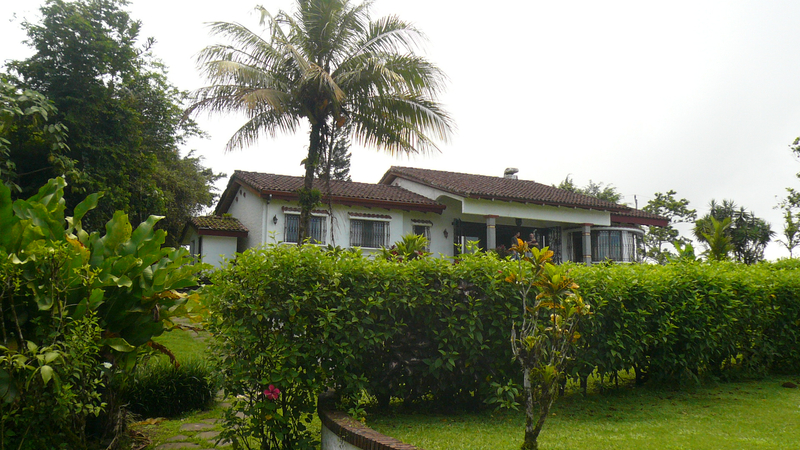 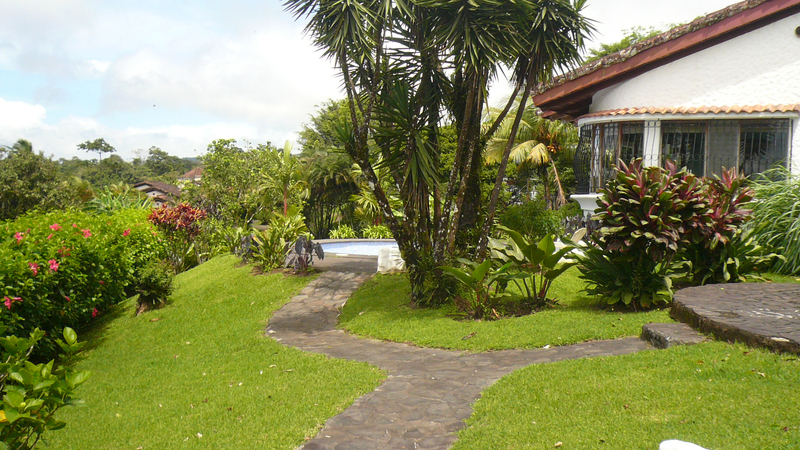 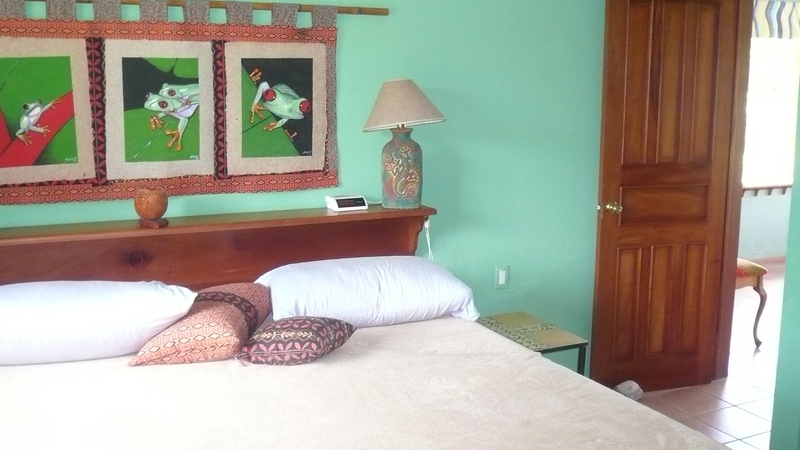 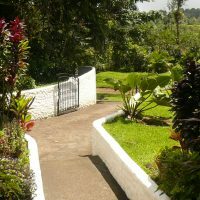 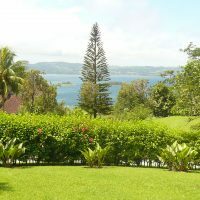 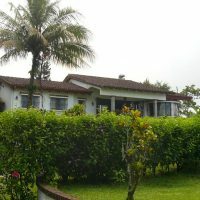 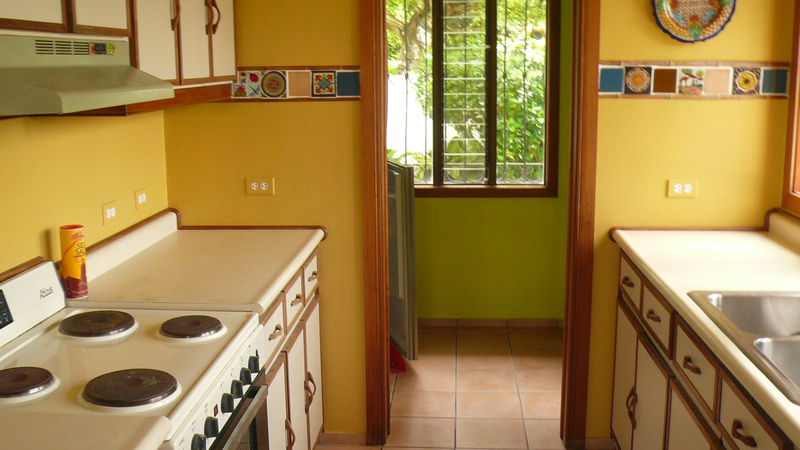 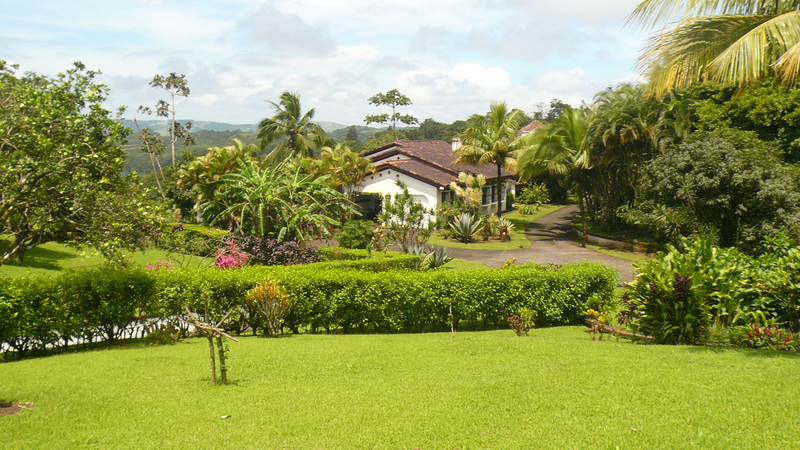 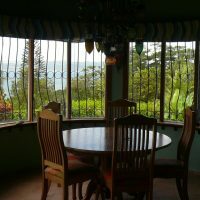 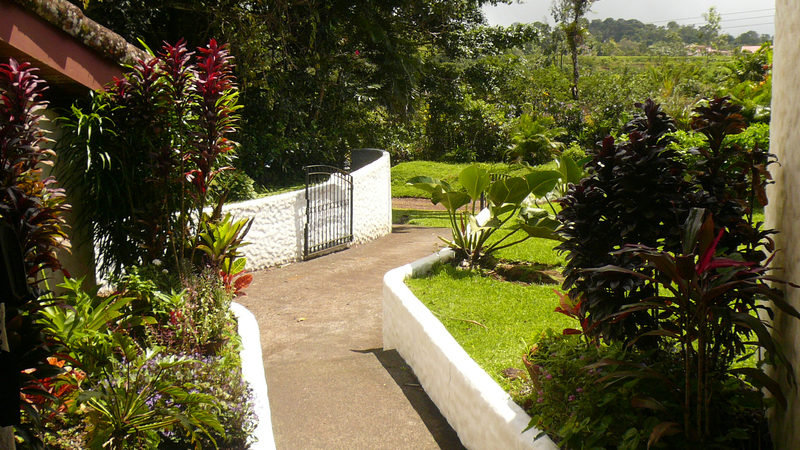 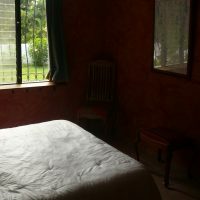 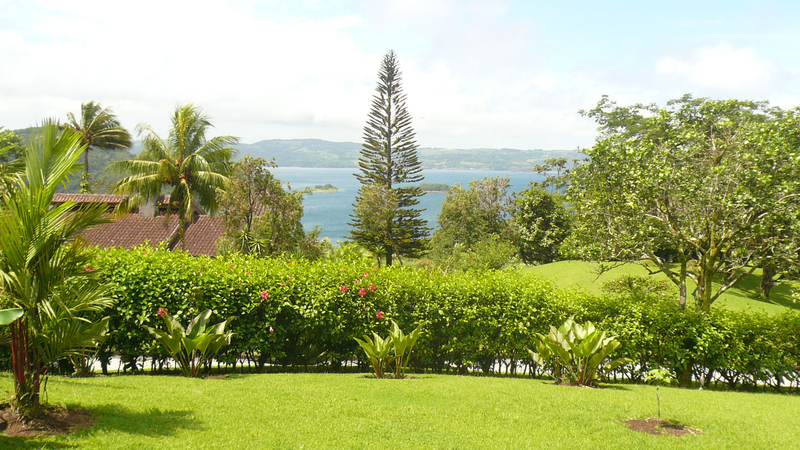 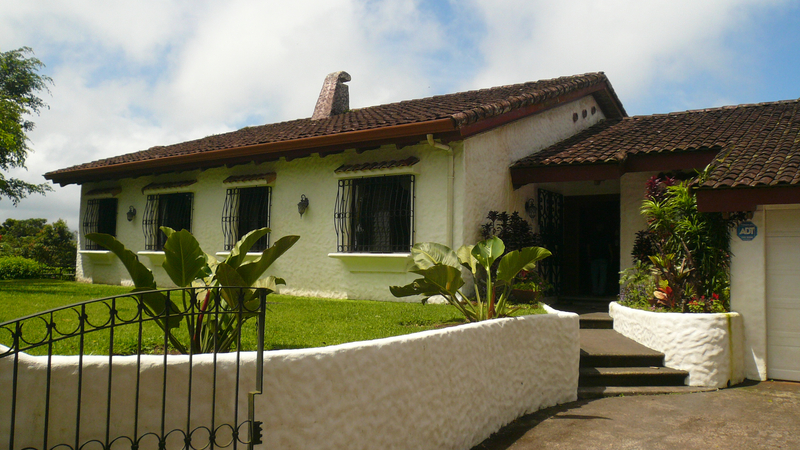 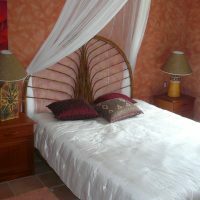 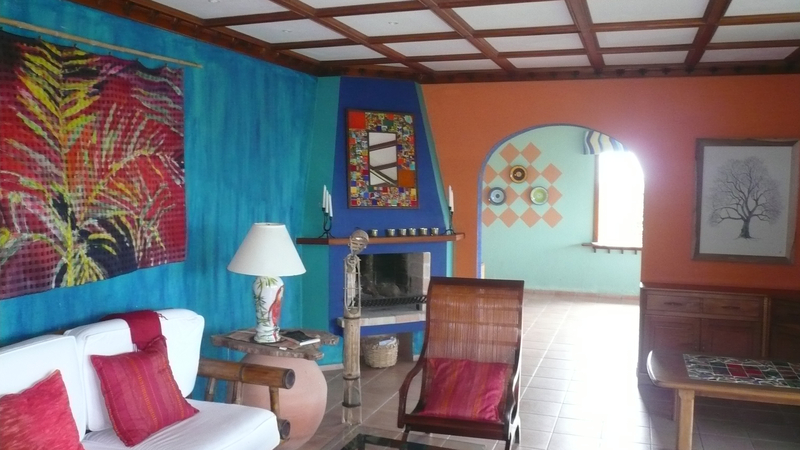 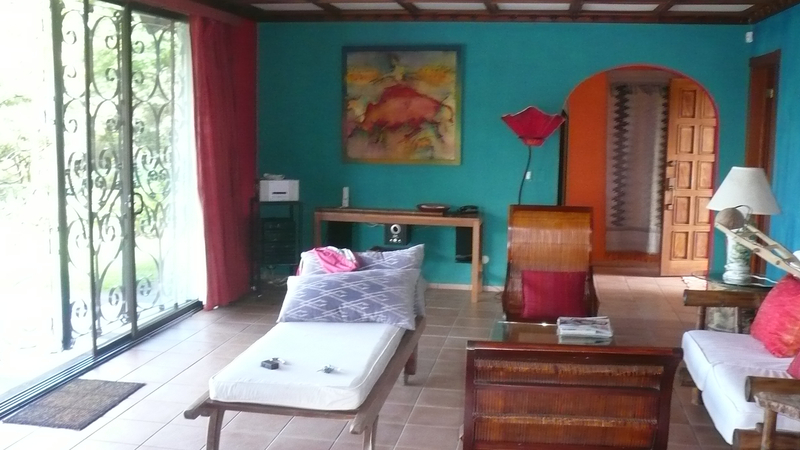 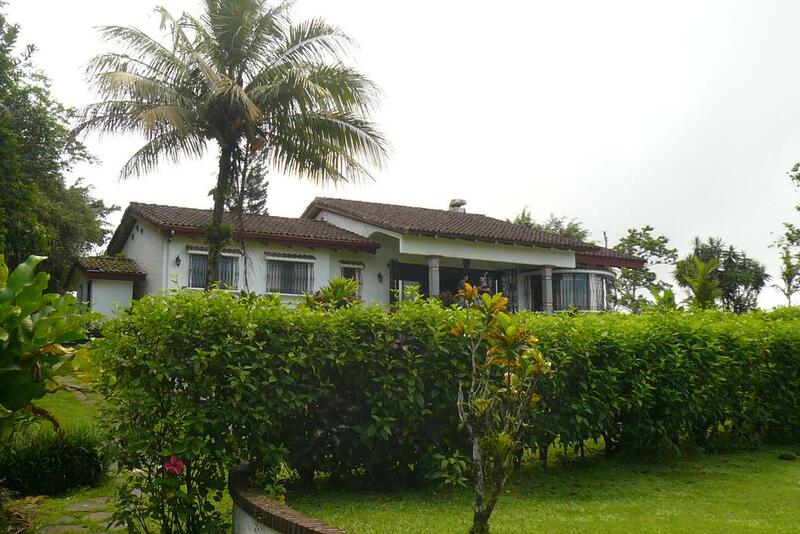 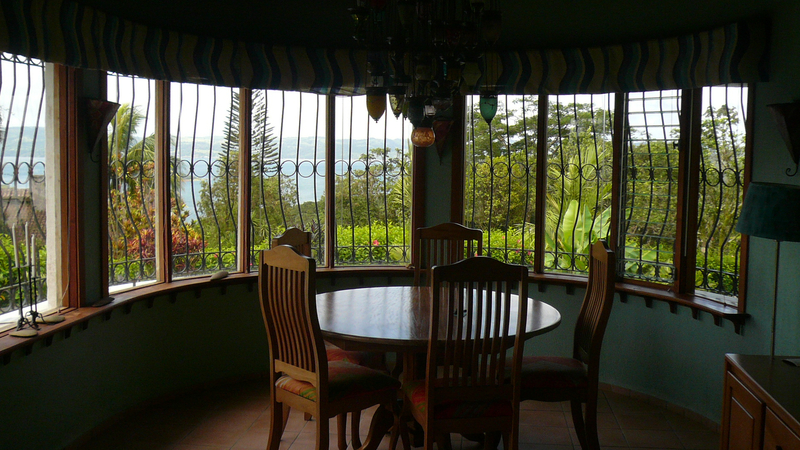 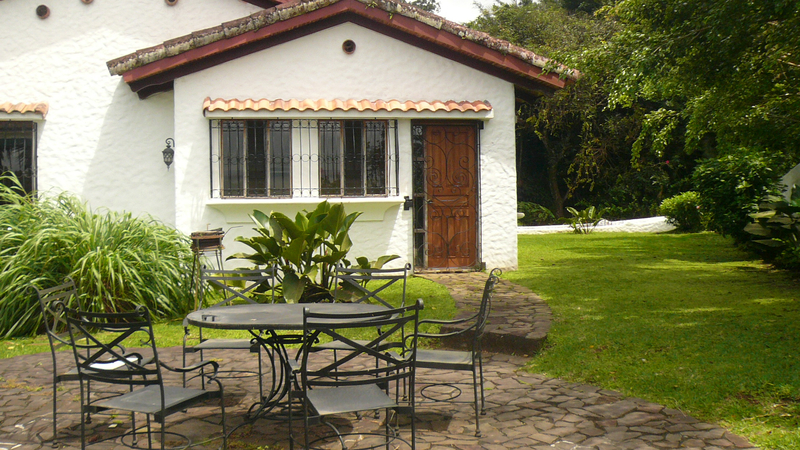 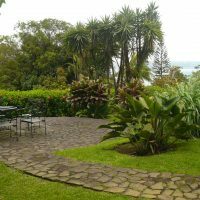 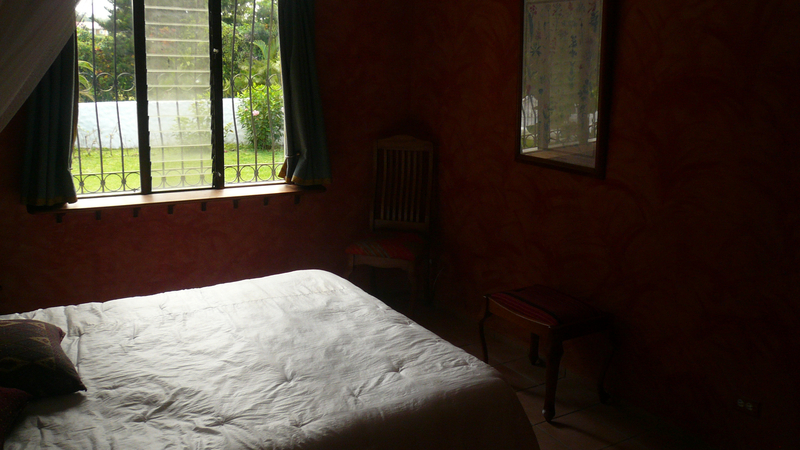 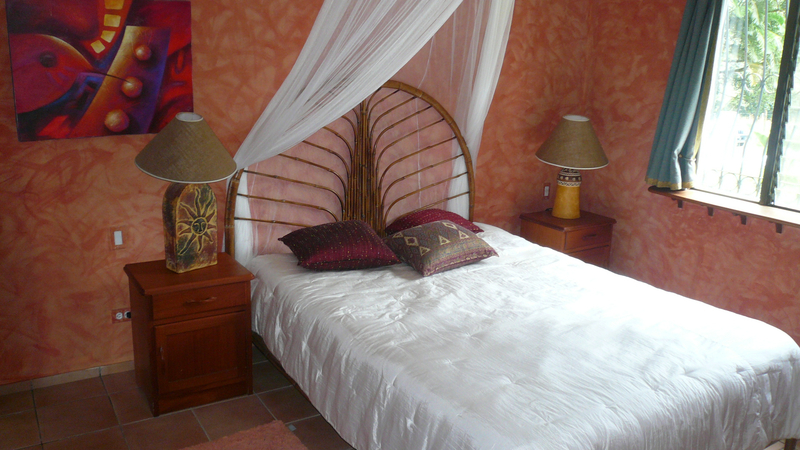 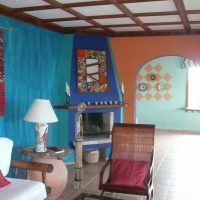 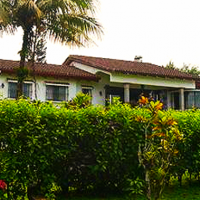 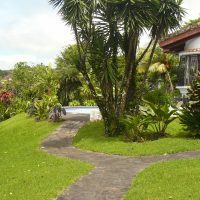 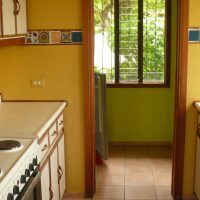 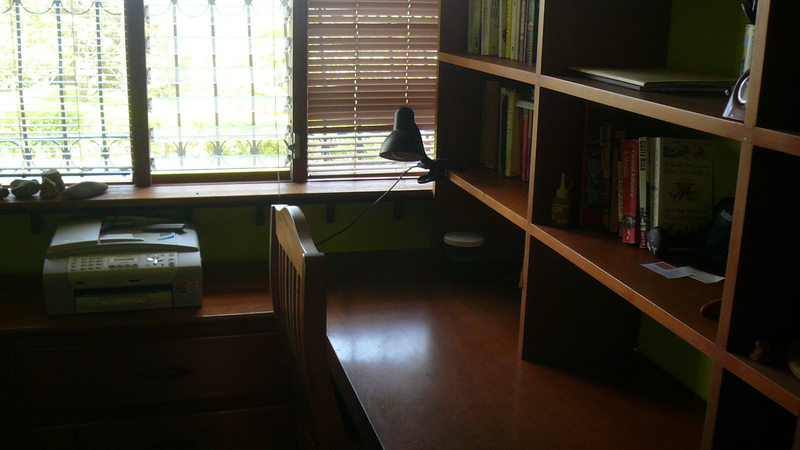 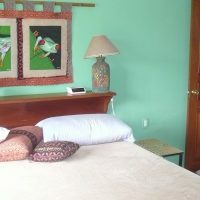 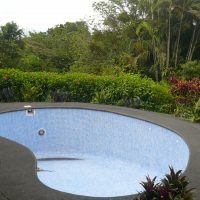 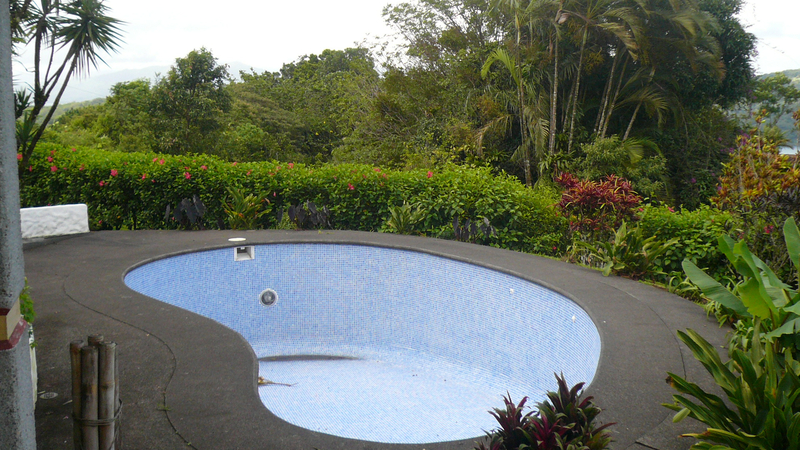 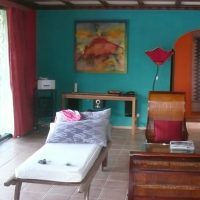 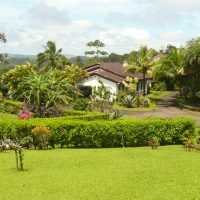 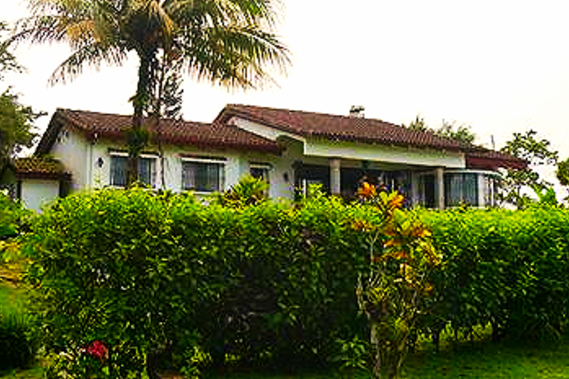 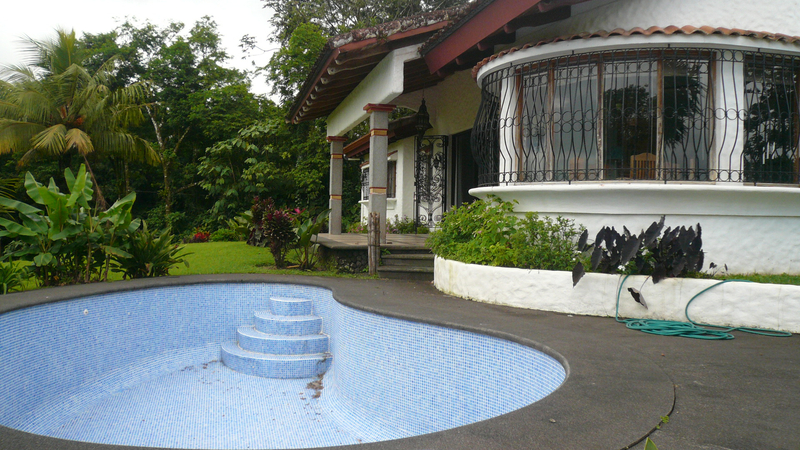 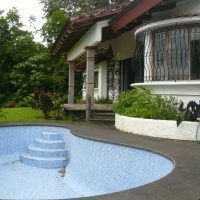 Very nice Spanish colonial home, 5 minutes from Nuevo Arenal in one of the most established and beautiful gated community. 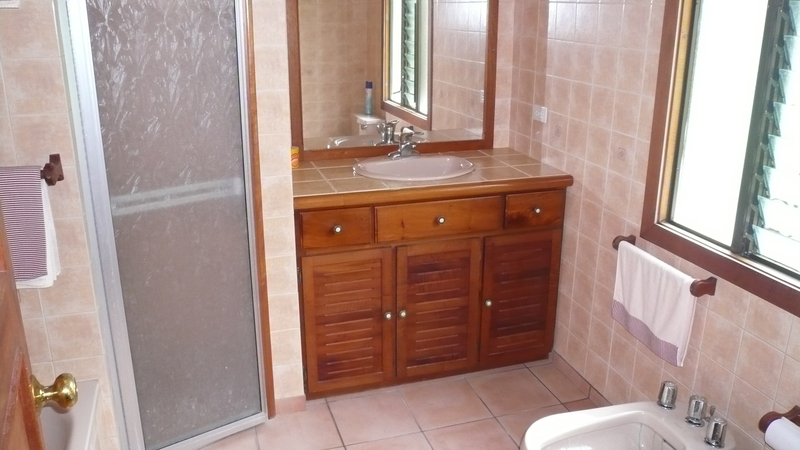 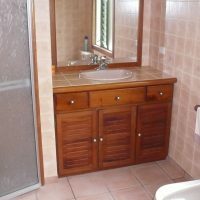 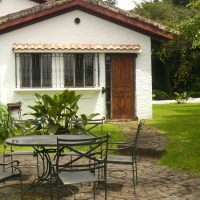 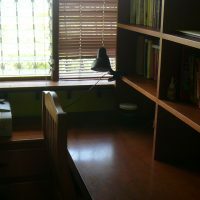 Three bedrooms, two and a half bath, office, laundry room, garage, fireplace, central A/C, verandas, swimming pool, manicured garden. 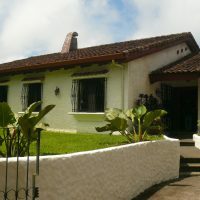 House is in very good state of repair.